As the sun set over the kingdom of Chicago Gourmet this past weekend, off to the fields of the east, a bloody battle was fought and won, with daggers and chainmail armor, one victor emerged with riches in hand. 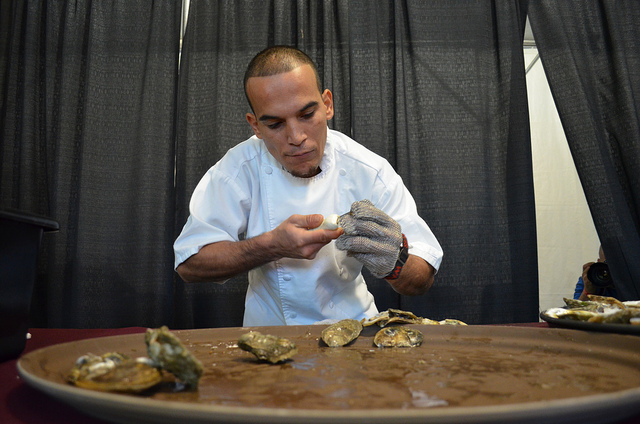 The winner of the Chicago Gourmet Supreme Shucker 2012 oyster shucking contest is Luis Pedroza of Benny&apos;s Chop House, who not only won the glory of masterfully shucking 18 oysters in 1 minute 56 seconds, but took home a $2,000 cash prize. The oysters shucked were Naked Cowboys, named in ode to New York City&apos;s scantily clad, but behatted street musician for his passion and boldness. 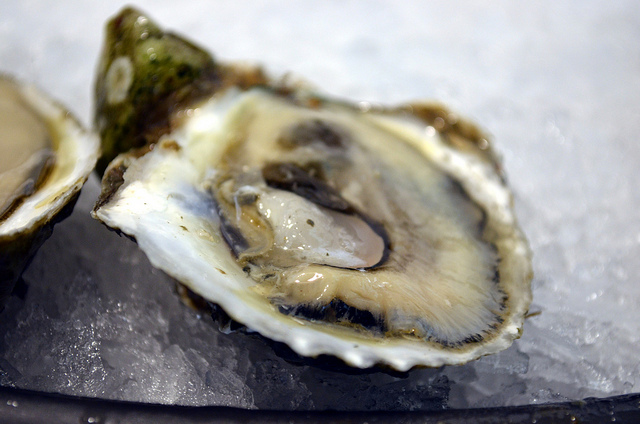 The oysters are wild, from Long Island Sound, with rich, firm flesh. 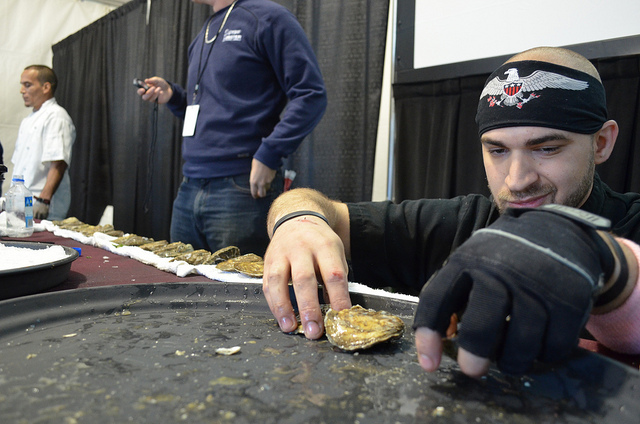 The oyster shucking contest was sponsored by Supreme Lobster and Seafood Company, headquartered in Villa Park. Founded in 1973 by Dominic Stramaglia, who held his first shipment of live lobsters in a kiddie pool unsuccessfully, the company is now a multi-million dollar national seafood business. 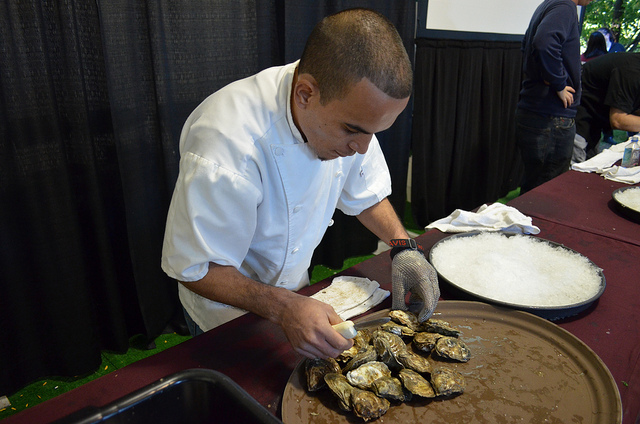 Supreme fishmonger and friend Carl Galvan has made it his mission to promote sustainable seafood to the best chefs in the city, often engaging them in friendly and informative competitions. 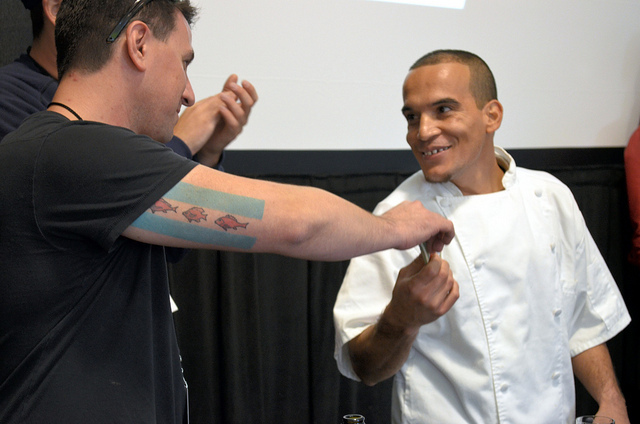 For the past several years now, Carl has subversively messaged neck-tattooed, adrenaline-junkie chefs with vital issues involving climate change and overfishing, guiding them responsible choices. At least where seafood is concerned. 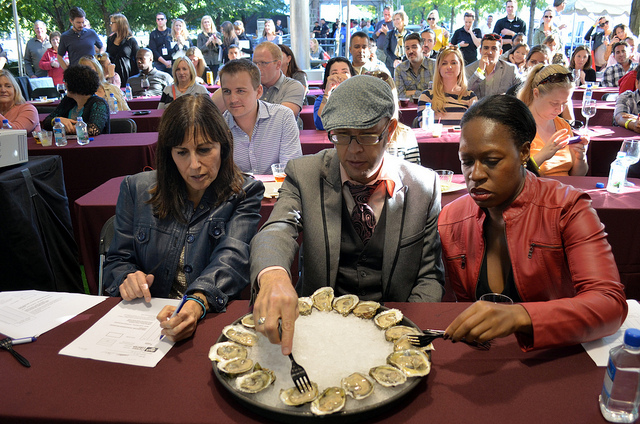 And no, oysters are not vegan, despite what one oyster-loving would-be vegan might say. If you saw how oysters fight to the death, inflicting wounds on the bravest knights, you&apos;d understand that to ask if oysters feel pain is not even the question.